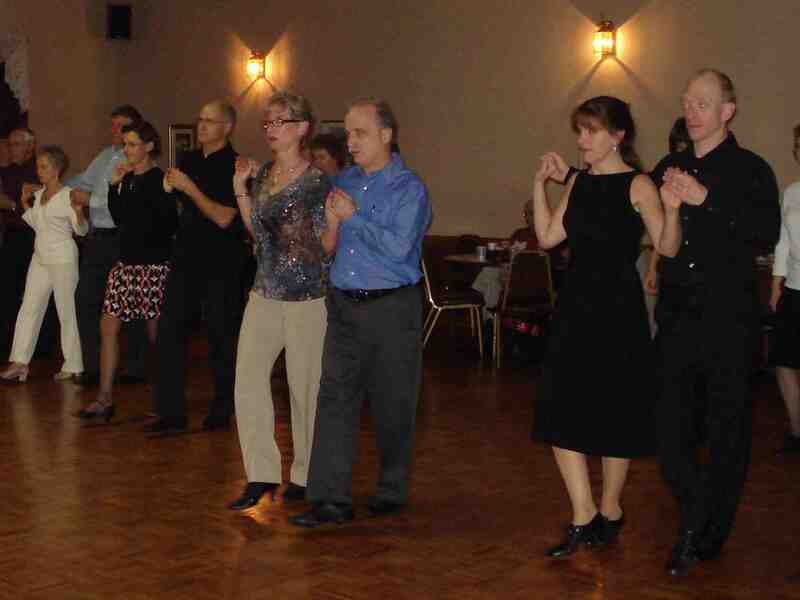 Taking group lessons is a fun and inexpensive way to learn how to dance. You’ll meet new people and share the camaraderie of learning together. Dancing with a variety of partners helps hone your leading and following skills. We offer group lessons at the Beginner, Intermediate, and Advanced levels. Lessons usually start the first week of each month and meet once a week for 4 or 5 weeks. Different dances are taught each month. The following month you can continue with the same dance, start a new dance, or both. Partners are not required. Class size between 6 and 20 people. Take $6 off listed price if paid 7 days in advance. Register early to reserve a spot! To reserve a space in an upcoming class, please fill out our online registration form, e-mail the studio, or call the studio at (410) 857-4368. Beginner 1 – For people who have never had dance lessons before. Beginner 2 – For students who can successfully dance the figures taught in Beginner 1. Beginner 3 & up – For students who can successfully dance the figures taught in the previous level. Intermediate and Advanced – Register with instructor permission. Students in these classes may pay a weekly price of $14 per class per person or by the month. Intermediate and Advanced – With instructor permission. Students in these classes may pay a weekly price of $14 per class per person or by the month.